Home » Road Schooling » Roadschooling Highschool: You CAN do it! 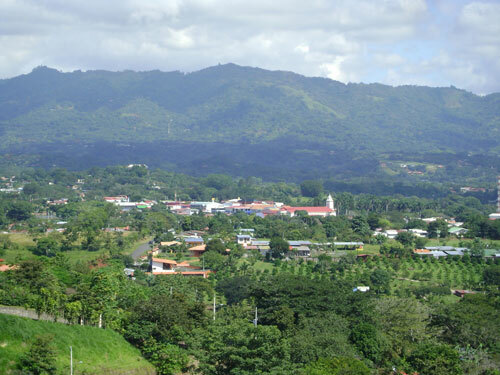 Atenas is located it the central valley of Costa Rica, about 20 miles west of San Jose, the capital. Once an important stop on the coffee oxcart trail, Atenas has become a nice community where expats and locals blend to make a little country town bloom with activity. With the new highway built from San Jose to the coast, Atenas has been growing in popularity due to it's location: 30-40 minutes to San Jose and 45 minutes to the closest beaches. Despite the growing popularity, Atenas is a tiny, sleepy town, most stores close their door at 6 pm and nightlife is virtually non-existent, except for the few bars in town. We came to Atenas in May of 2010 for a 6 month stay and ended up staying 1 1/2 years. While there are cheaper places to live in Costa Rica, Atenas offers services and amenities that most North Americans are used to: plenty of restaurants to choose from (although most are typical local fare), easy access to healthcare, plenty of public and private schools and a large social expat community. In case you are considering moving to Atenas, here is a breakdown of typical costs. These are based on our experience of being a family of 4. All prices are in US Dollars. The cost of rent in Atenas varies. There plenty of gated communities, country properties, little casitas (small houses) and neighborhoods close to the center of town. Places advertised online are almost always more expensive than those you can find locally. Atenas is a relatively safe place, but break-ins do happen. Lots of houses will have bars on the windows and doors as an extra security measure. There are a few small apartment complexes in Atenas, but the majority of housing opportunity is individual houses. Most retired expats tend to live in the gated communities, where the cost of buying a house can be $300,000 on up to millions. Rent of those houses varies, but usually is $1300 per month plus. Most houses in gated communities are built to North American standards and include a pool, a welcome relief during the hot day. Just outside of town there are various barrios (neighborhoods) that offer small houses with more land. Rents can vary from $400 for a typical Tico house to well over $1600 for a more North American house. We lived in a neighborhood near the center of town for the walkability factor. Houses close to the center of town vary greatly in quality and rental price. Most tend hover around $500 - $900. Costa Rica has a really good and surprisingly on time bus system. 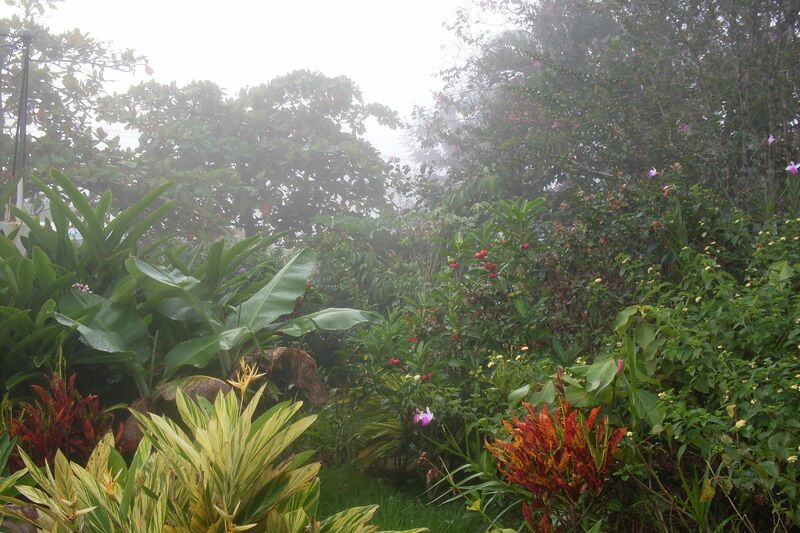 Most buses do not have AC and the twisty turns of Costa Rica mountain roads can make some (like me) sick. If you opt to use the bus system, a trip from Atenas to San Jose will cost $1.25. It's cheap and efficient. Having a car, particularly for families, makes life easier and more convenient. Cars are more expensive in Costa Rica but tend to hold their value well. Cars are registered and a mandatory insurance is required. Additional insurance can be purchased, most is not needed. Produce in Costa Rica is relatively inexpensive. The variety leaves something to be desired, but is plenty for most. We typically went to the Farmer's Market once a week to stock up on the weeks produce. For $40-50 we got an entire refrigerator full of fruits and veggies. More American like foods such as cereals, American cheeses and maple syrup are more expensive, sometimes remarkably so. Ironically, the staple dishes of Costa Rica, rice and beans, although fairly inexpensive, cost more in Costa Rica than in the US. Papaya: 3 big ones for 1,000c = $2. We make Papaya smoothies all the time. They are SO yummy and so good for you! Cucumbers: 300c / kg = $0.60 / lb. Strawberries (expensive here in CR): 800c/ pint = $1.60 for a little container. Chicken Breast: ($7/kg) ($3.50/lb) Costa Rica has delicious natural chicken! 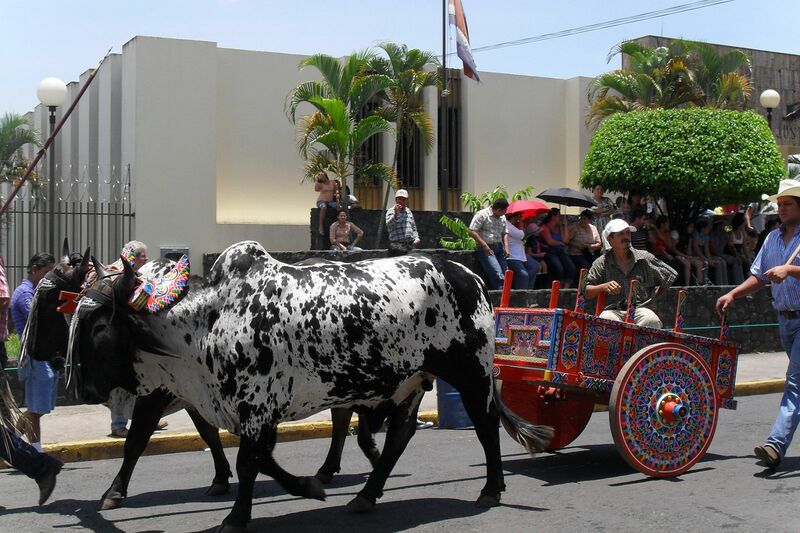 There are plenty of restaurants in Atenas, most cater to the local crowd and serve typical Costa Rican dishes. The Costa Rican staple is the casado: rice, beans, tortilla, a friend plantain and your choice of fish, chicken, pork or beef. It's the cheapest and most filling meal you can order. 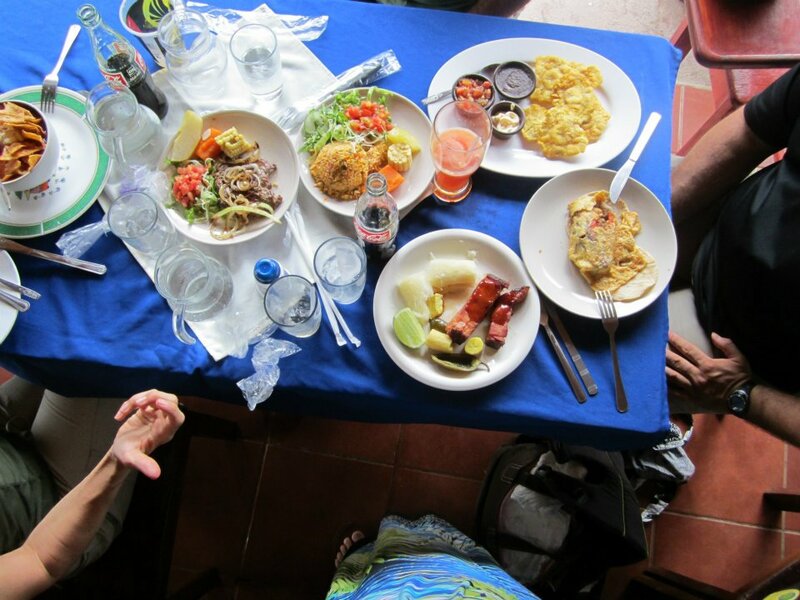 Restaurant prices vary, but our favorite restaurant (The Guanacaste) was a great value for the quality of food. Atenas does not have any street vendors. There are plenty of public and private choices for schooling in Atenas. For as small as the town is the number of schools is surprising. Enrollment in the local schools is an option. Some schools don't follow a predictable schedule and you may find that your child's schedule changes day to day. There are times when the teacher is absent and the students are sent home for the day. There doesn't seem to be a substitution system. All public schools are Spanish speaking only. Public schools are the cheapest option that cost a few dollars per month ($10) that includes a snack or rice/beans lunch for the child. Warning: See Homeschool section below. The private schools are more expensive, but more consistent in terms of schedule and curriculum. Many expat families choose private schools for this reason. Costa Rica does not recognize homeschool as education. If you choose to homeschool your children do not enroll them into the public school system at any point. If you choose to pull them out for some reason and remain in Atenas, you may get a visit wondering what type of education your child is getting. We know of one family that home schooled, but their child wanted to 'try' regular school. So he did for a few weeks, deciding he didn't like it and pulled out of the system. They received a very unwelcome visit and eventually their child was forced to go to school, lest he be taken by social services. (That family has since left Costa Rica). So, if you choose to homeschool, just be aware of that. Otherwise, there are plenty of families that homeschool in Atenas that have not had any issues because their children have never been enrolled in public school. There are 3 major pre-schools available in Atenas for children 3 yrs +. Each pre-school is 5 half-days per week. There are no daycare centers in Atenas, except for locals or expats opening their home and providing daycare. The local expat community has organized loads of fun activites for children and adults to do in Atenas. The center for these activities is usually Su Espacio, near the CoopeAtenas & Gas Station, but classes are held all around the center of town. There is karate, tai chi, rumba classes, yoga, dancing, painting and much more. Most classes are offered for monthly ($40/month) or per class fees ($3-5 depending). There are several soccer teams and volleyball teams in Atenas as well and 3 beach volleyball courts. Labor in Costa Rica is still relatively cheap, so finding someone to do the things you no longer want to do, like mow your lawn or do the dishes is inexpensive. So much so, that is almost doesn't make sense to do the things that you don't enjoy. Medical services and alternative health services can be found in town. Doctors are well trained and the alternative medicine community is growing and becoming popular in Costa Rica. Atenas is a beautiful little town that has the perfect mix of locals and expats. The wise variety of activities available (namely because of the varied expat population) makes it a great home base to discover the rest of Costa Rica from. Thank you very much for taking the time to post this helpful information! Thanks for the helpful info! My family of 6 is planning to move to Atenas next fall for about 10 months. I am especially interested in learning more about the schools. We were leaning toward public school for our children, though we will probably homeschool with Math. We will have a preschooler, an 8 year old, 11 year old, and 13 year old. Are there certain schools you would recommend or resources that you are aware of for finding out more? With the preschools you mentioned, are those public or private? I was hoping to volunteer there so I could be with my son and pick up some Spanish. Do you happen to have more info about these preschools? Any info you could give us would be wonderful. If you happen to know of Spanish websites, that would work great too, as my husband speaks Spanish. Thanks so much! Hello, I am interested in learning more about public schools in Atenas. I have an 8 year old daughter and I would like to enroll her in a public school. She has a limited Spanish vocabulary, but my desire is to immerse her in Spanish to develop Spanish speaking ability. Interested in finding a school that would assist with this endeavor. Where in Atenas do the expats hang out. I am in Atenas and would like to speak to some expats here. Thank you so much. This is just the information I was looking for on this beautiful little town. Another important aspect that contributes to the strong sense of community in Atenas is the cohesiveness and coming together to support a good cause and those in need. Since our arrival, we have attended several birthday fiestas, gotten terrific advice on who and how to get things done (especially for our Bichon), and met some very interesting, lovely people. It was nice that owners of our favorite restaurants remembered us from our February visit. We get such a kick out of the butcher and the cajas at the Supermercado helping us with our Spanish! One of my favorite experiences has been driving by Victoria's office (the local optometrist) when she came running out to talk. I'm not used to parking in the middle of the street, but I am learning!